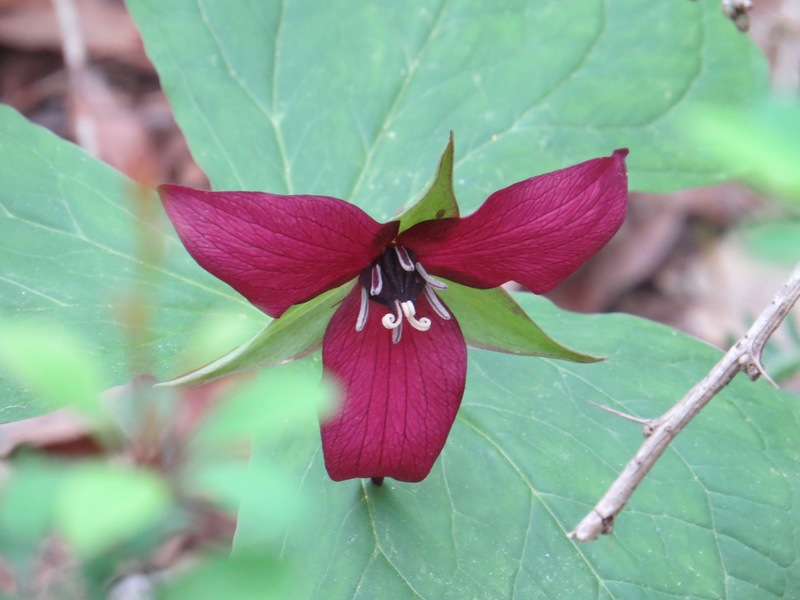 We only saw these purple trilliums on the return leg of our walk. 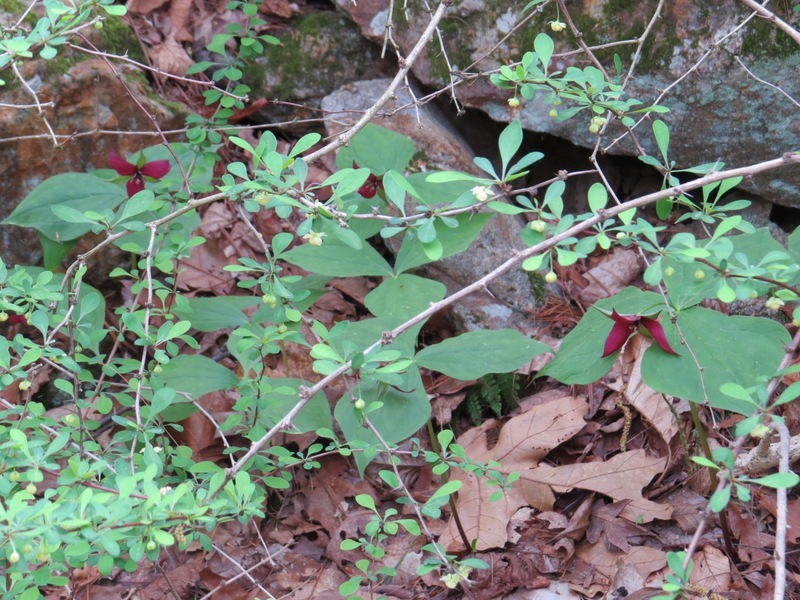 The invasive Japanese Barberry (Berbers thunbergii), which is all over the trailside, is about to shade over these maroon beauties. Did it also protect them from the deer? 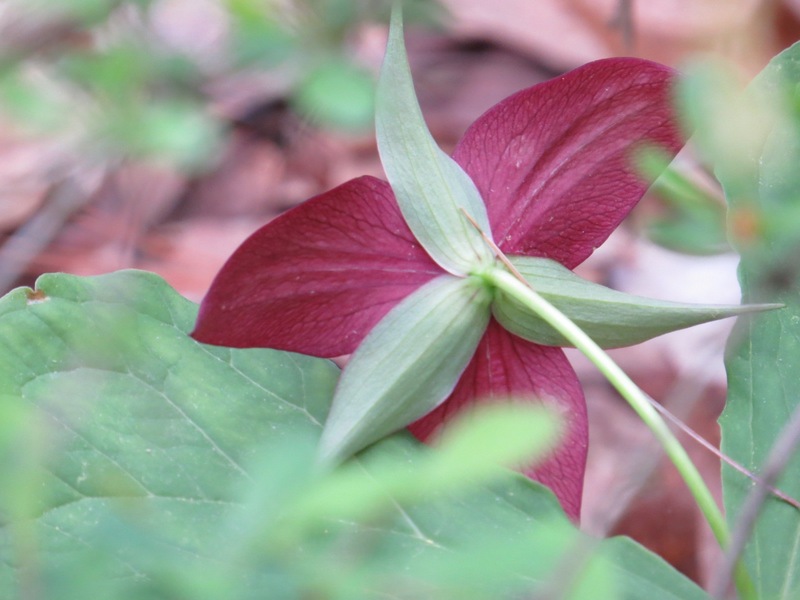 This is one of the most common Trillium species found here in the east. 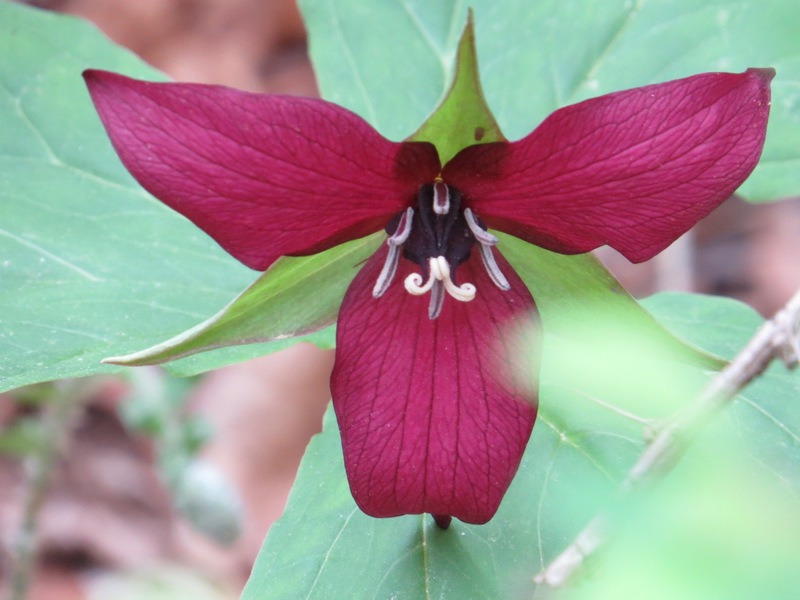 It also goes by: red trillium, purple/red wake-robin/wakerobin, stinking Benjamin, and wet dog wakerobin/trillium The flower attracts pollinators by stinking like carrion (that old trick) and/or, presumably, wet dog. A spectacular flower regardless of how it pulls in the flies. Hi- can you identify this turtle? We had a great adventure yesterday on a busy road in Huntington. My friend does not think it is a snapping turtle which would have made all the shenanigans to get her back to her pond unnecessary However a few strangers and I did keep this turtle safe and got it back “home.” I would’ve to know what it is, besides huge and a vital part of my neighborhood. thanks.